Want to know how long it takes the world record holder of earnings via financial trading to make your annual salary? Then look no further. 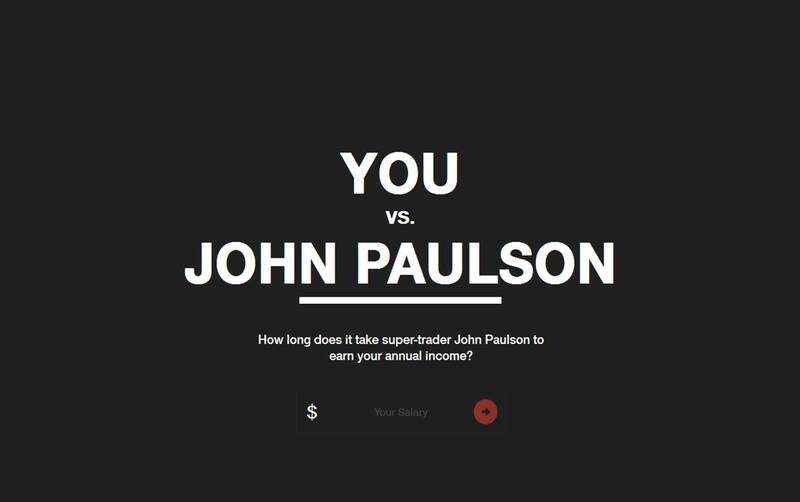 The site asks you to input your wage and then lets you know how depressingly quickly John Paulson, a financial trader who earned a record $4.9 billion in 2010, earns your miserly take-home pay. I thought this was political advert for some sort of anti-capitalist / Occupy / Robin Hood Tax type organistion. It turns out it’s a genuine piece of communication for a trading site that is due to open next year. It’s not meant to be a political advert, but for the majority of people, it inadvertently is.